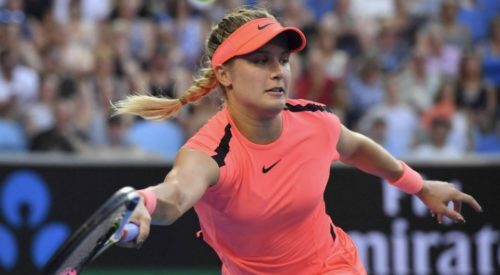 It’s safe to say Eugenie Bouchard’s tennis skills are eclipsed by her good looks. No wonder, there are often talks that she has a second career option of a model. Apart from some notable photo-shoots, the Canadian has also featured in Sports Illustrated’s swimsuit issue… not just once, but twice. But, is she really interested in entering the world of glamour? Yes, but not at the moment. “I’m just interested in tennis and recovering my best tennis. Work as a model? Maybe after the end of my career,” the 24-year-old added. Time to get back to tennis!